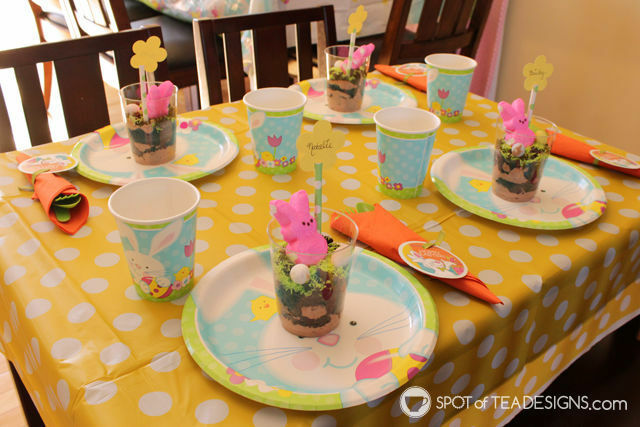 If you’re hosting a fun Easter egg hunt, consider a cute and tasty treat for guests to enjoy after their pursuit for these treasure filled eggs! 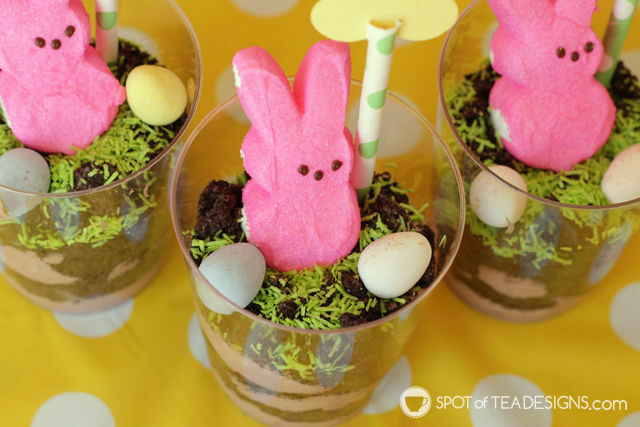 Get your kids involved in this no bake Easter dirt cup. 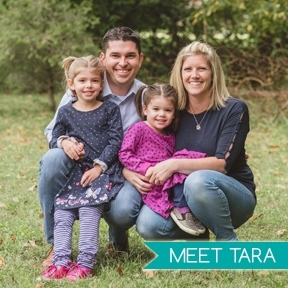 They’ll enjoy helping to crush the OREO cookies and will love being your taste tester! 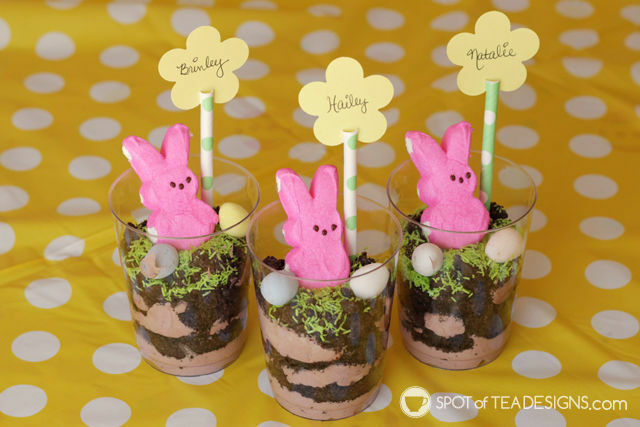 Add a paper straw flower inside your Easter dirt cup and use this yummy dessert as a place card at the Easter dessert table! 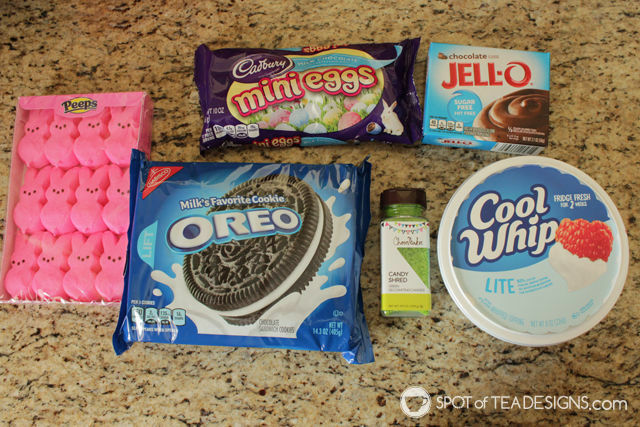 First, mix and refrigerate the Jello chocolate pudding according to the directions on the box. 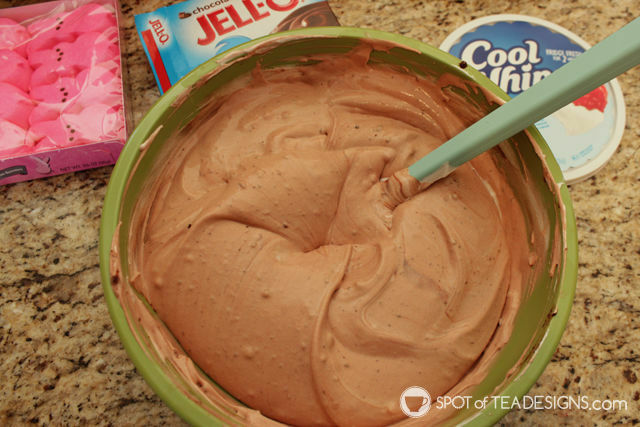 Fold in Cool Whip topping. 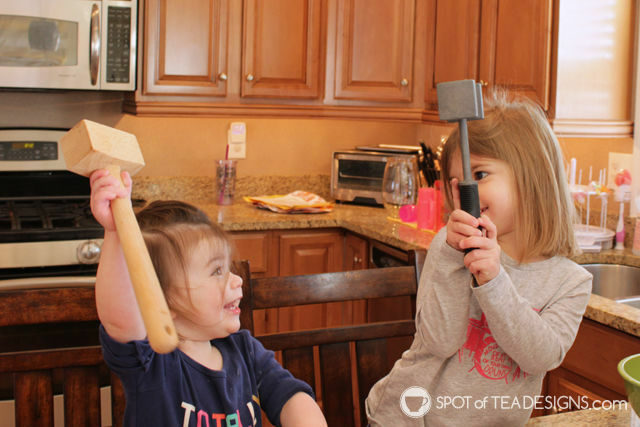 Next, arm your toddler with kitchen weapons. I mean meat mallets. 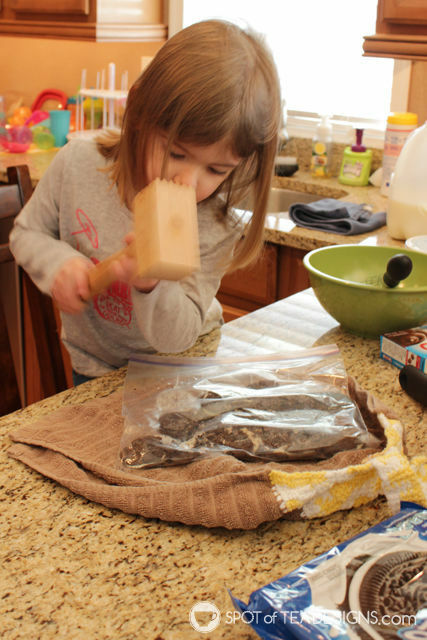 Place OREO cookies in Ziploc bag and crunch with meat mallet. Guess who was a big fan of this step? 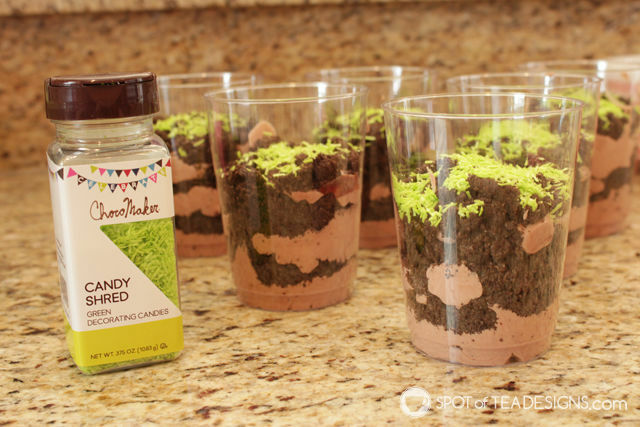 Place a small amount of chocolate pudding in the bottom of the cup. Layer some crushed cookies aka dirt. Continuing these layers. 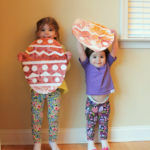 You can also put in some egg candies in the layers but I didn’t want my girls eating TOO much chocolates. 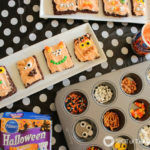 Sprinkle some green sprinkles or candy toppings to create a grassy scene. 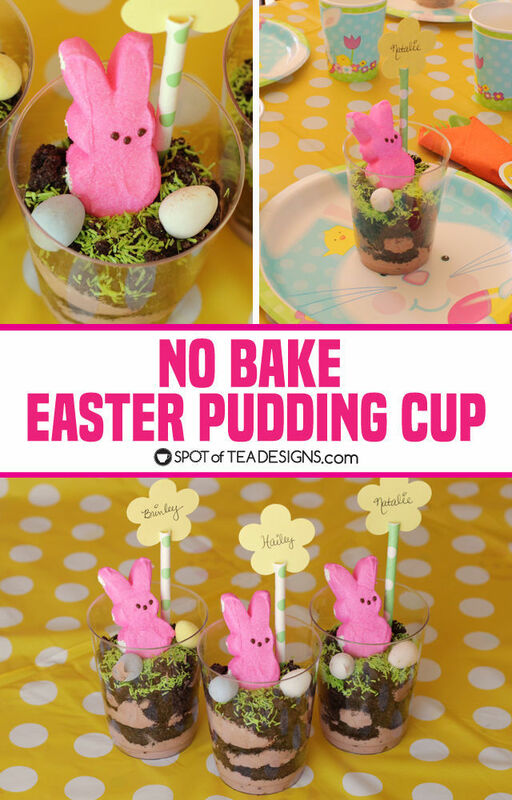 Insert a Peeps bunny and several mini eggs on top. To create the name portion, snip the top of the straw to make a slit. Punch a flower shape from cardstock and write a name on it. Insert the punched shape into this slit. 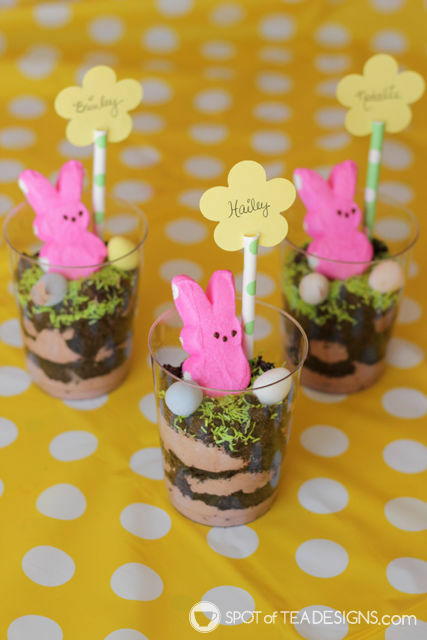 This no bake Easter dirt cup is the perfect way to treat kids after an active afternoon hunting for eggs. 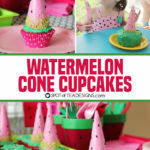 My taste testers recently enjoyed them when I was styling a party for Birthday in a Box. 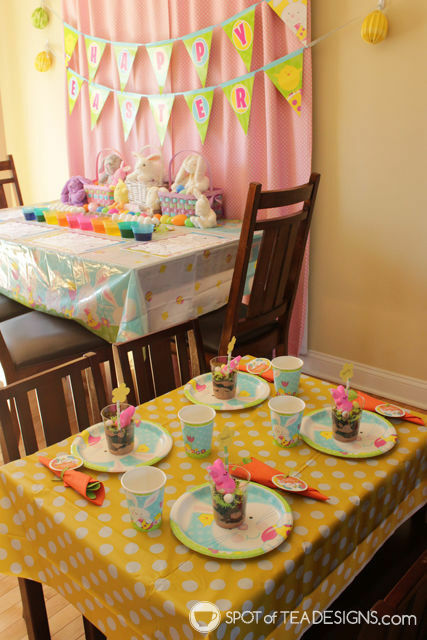 To see more of this kid’s Easter party, including more cute pictures of my girls and their cousins, visit their blog post! They will tell you it was super delicious! 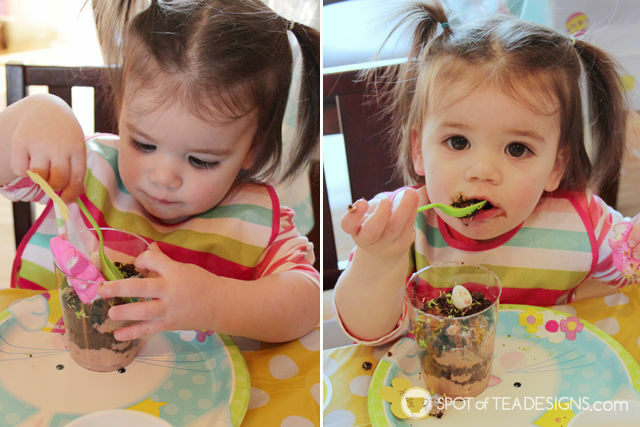 I was so impressed how well Hailey did with her spoon to scoop it out. AND it was the first time she sat and ate at this little kids table we have! 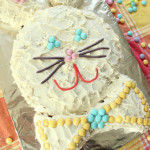 Us adults thought it was very yummy too but warning, it’s pretty filling!